Back in October 2014, I reported briefly on a new 4-CD boxed set of recordings of Polish music composed, for the most part, during World War II. Now a book of recollections has been published by the Witold Lutosławski Society in Warsaw to commemorate the composers and performers who went through and, in some cases, died during the Nazi occupation. 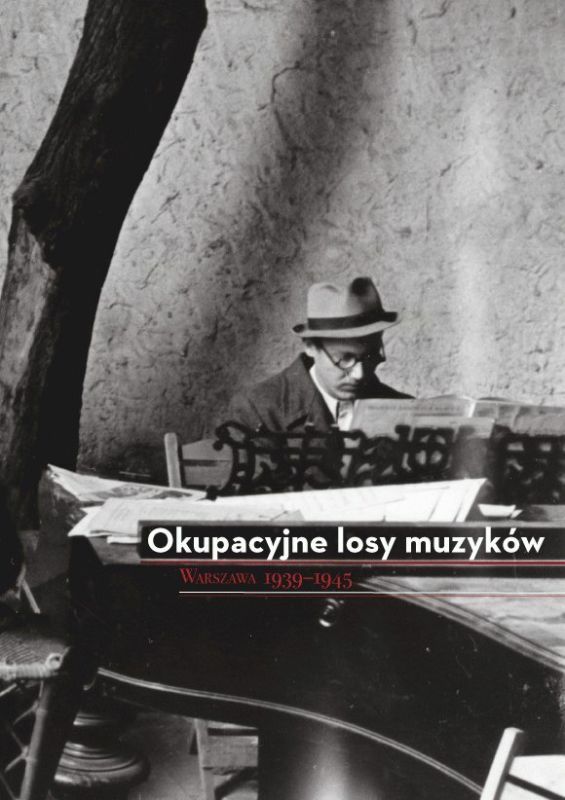 It has been put together by Elżbieta Markowska, formerly Head of Music at Polish Radio 2, and Katarzyna Naliwajek-Mazurek, who is the foremost specialist on Polish musical life in 1939-45 and contributes a 30-page essay to introduce Okupacyjne losy muzyków (The Fates of Musicians during the Occupation). Sadly, for non-Polish readers, it exists only in Polish. But its photographic documentation more than makes up for any linguistic barrier. There are photographs of daily life in Warsaw and of musical venues – the Warsaw Philharmonic, Grand Theatre and cafés – damaged during the war. There are private photographs of the featured musicians, of their documents, letters and postcards (also transcribed alongside), posters, pages from scores and concert programmes, the vast majority of which have not been published previously. • Andrzej Panufnik (1914-91), composer, pianist and conductor: excerpts from his autobiography (already published in English and Polish), photos of rehearsals for the premiere of Tragic Overture (March 1944) and concert programmes, including one for the Lutosławski-Panufnik duo on 22 March 1942, when the repertoire of Mozart, Brahms, Schubert, Ravel and Albeniz was interlaced with Lutosławski’s Paganini Variations, a slow-fox by Cole Porter, paraphrases of Bizet and Johann Strauss and a jazzowa parafraza on Liszt’s Liebestraum no.3. • Witold Lutosławski (1913-1994), composer and pianist: mostly identity documents and family letters that mention Lutosławski; less extensive than Panufnik’s entry. • Bolesław Woytowicz (1899-1980), composer (but not during occupation), pianist and initiator of one of Warsaw’s main musical cafés: various sources, including the diary begun while he was in Pawiak prison, plus recital schedules (he gave three complete cycles of the Beethoven sonatas). • Grażyna Bacewicz (1909-69), composer and violinist: mainly letters to her brothers. • Halina Kowalska (1913-98), cellist, and her husband Henryk Trzonek (1912-43), viola player: Kowalska’s interview for Polish Radio in 1960, recollections by Włodzimierz Kusik of the street arrest and execution of Trzomek, plus reproduction of a poster naming the 100 victims of this police operation in December 1943. • Jarosław Iwaszkiewicz (1894-1980), writer (cousin of Szymanowski): excerpts from published diary. • Roman Padlewski (1915-44), composer and underground fighter: letters, accounts and documents; the most extensive entry in the volume. • Eugenia Umińska (1910-80), violinist: documentation, recollections by Kazimierz Wikormirski (cellist) Stanisław Wiechowicz (composer), transcript (English) of brief interview for BBC radio in 1948. • Grzegorz Fitelberg (1879-1953), conductor: letters to Stefan Spiess (1945). • Edmind Rudnicki (1892-1957), pianist and underground organiser: recollections by others. • Zofia Nałkowska (1884-1954), writer: excerpts from published diary. • Roman Palester (1907-89), composer: fragments from typewritten memoirs. • Zbigniew Drzewiecki (1890-1971), pianist: recollections. • Jan Krenz (b.1926), conductor and composer: recollections. • Marian Filar (1917-2012), pianist: recollections. • Andrzej Markowski (1924-1986), pianist and composer (later conductor) and underground fighter: documentation, Polish Radio archive; contributions from his wife Bogusława. *The cover photo of Okupacyjne losy muzyków shows Andrzej Markowski playing at the Actors’ Café in Autumn 1944, during the Warsaw Uprising. • Jan Krzysztof Markowski (1913-80), composer (especially of underground songs) and pianist, brother of Andrzej: documentation and reproduction of two songs. • Jerzy Waldorff (1910-99), writer and critic: excerpts from published diary. • Władysław Szpilman (1911-2000), pianist and composer (subject of the film ‘The Pianist’): Polish Radio archive.